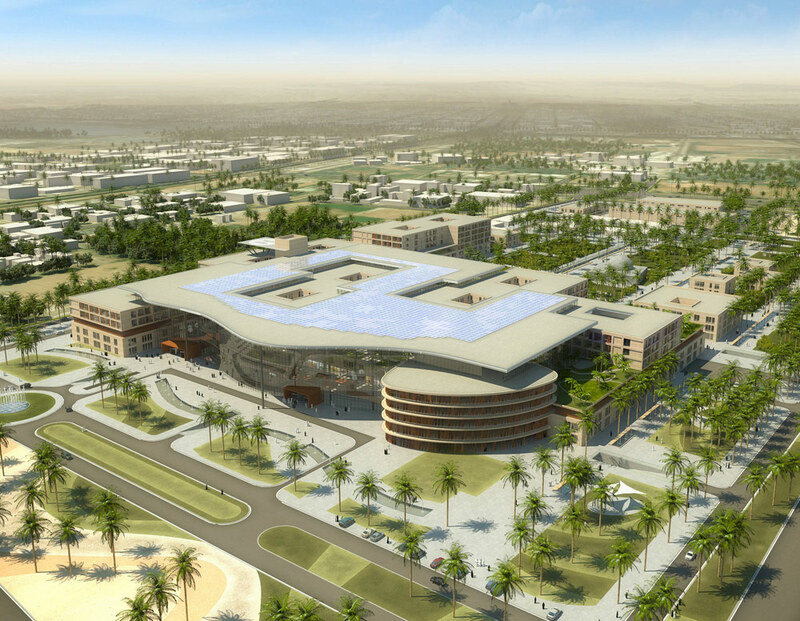 The New Al Ain Hospital extends over an area of 358,000 square metres. It consists of the main hospital, a central morgue that will serve the needs of the Eastern Region, a mosque, a centre for logistics services, a 60-MW power station, in addition to an underground parking lot accommodating up to 1,500 cars. All works in the new hospital are scheduled for completion by 2020, with the first phase, which includes commissioning of the main hospital building, to be completed by the year 2018. The New Al Ain Hospital’s features include the latest state-of-the art medical technologies and devices, which will contribute to the provision of world-class medical care to patients and prepare for the expected population increase in the coming years. The new hospital has been designed according to sustainability criteria that significantly reduce energy and water consumption, and which also make full use of energy from the sun’s rays.